It is replaced by the Honeywell Granit 1910i. 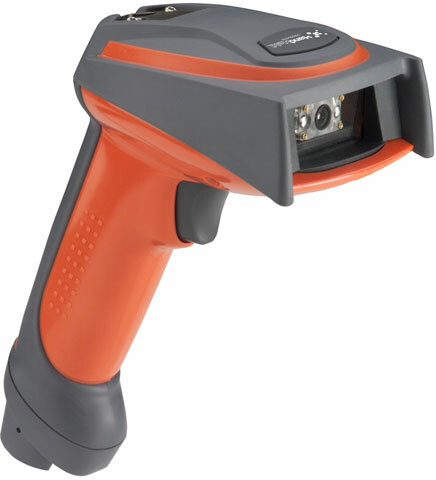 The 4800i Industrial 2D Area Imager, powered by Adaptus Imaging Technology 5.0, decodes faster, farther, and future-proofs your investment. The 4800i helps employees spend less time trying to capture data, and more time creating a productive and cost effective work environment. Scanner Only, Standard Range. Cables and accessories must be purchased separately. For the full kit purchase (Part# 4800ISR051C-0F00E). User Guide kit, Standard Range. Includes scanner (no cables) and user guide. Cables and accessories must be purchased separately. These include USB (Part# 42206161-01E), PS/2 (Part# 42206132-02E), or RS-232 Serial cables (Part# 42203758-03E) and a Power supply (Part# 46-00525). USB kit, Standard Range. Includes scanner, USB cable, and user guide. Scanner Only, Standard Range (True RS-232 support). Cables and accessories must be purchased separately. These include USB (Part# 42206161-01E), PS/2 (Part# 42206132-02E), or RS-232 Serial cables (Part# 42203758-03E) and a Power supply (Part# 46-00525). Scanner Only, Special Focus. Cables and accessories must be purchased separately. These include USB (Part# 42206161-01E), PS/2 (Part# 42206132-02E), or RS-232 Serial cables (Part# 42203758-03E) and a Power supply (Part# 46-00525). User Guide kit, Special Focus. Includes scanner (no cables) and user guide. Cables and accessories must be purchased separately. These include USB (Part# 42206161-01E), PS/2 (Part# 42206132-02E), or RS-232 Serial cables (Part# 42203758-03E) and a Power supply (Part# 46-00525). USB kit, Special Focus. Includes scanner, USB cable, and user guide. Scanner Only, Special Focus (True RS-232 support). Cables and accessories must be purchased separately. These include USB (Part# 42206161-01E), PS/2 (Part# 42206132-02E), or RS-232 Serial cables (Part# 42203758-04E) and a Power supply (Part# PS-050-2400D1-NA). PS/2 kit, Standard Range. Includes scanner, PS/2 cable, and user guide. PS/2 kit, Special Focus. Includes scanner, PS/2 cable, and user guide. We use this scanner to process international shipments and for our PTL orders. We bought this scanner to "future proof" ourselves as 2D barcodes become more popular. Product works as advertised. The help we received while setting up was great, quick and to the point. The unit arrived and after programming was ready to use. It makes inventory so much easier. The rubberized sides make it great to take around with you.